Xylella fastidiosa is spread by tiny sap-sucking insects known as leafhoppers. A deadly bacterial disease with no known cure that ravaged olive groves in southern Italy three years ago has been detected in the French island of Corsica, industry officials said Tuesday. "The verdict is in," Corsica's olive growers federation SIDOC said in a statement. It said Xylella fastidiosa has been detected in the island's olive trees, adding that a lab in western France is working to identify the particular strain. Have you completed your Tastebook™ survey? 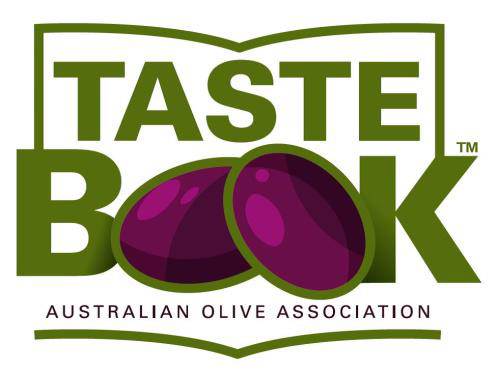 Tastebook™ Round 3 is currently underway and closes on Monday, 16 April, so participants are reminded to complete the Round 3 survey as soon as possible to ensure they make the deadline. Just grab your samples and go to Survey Monkey® here. And don’t forget that you can share your tasting samples and experiences with family, friends and staff – simply submit a Survey Monkey return for each taster. 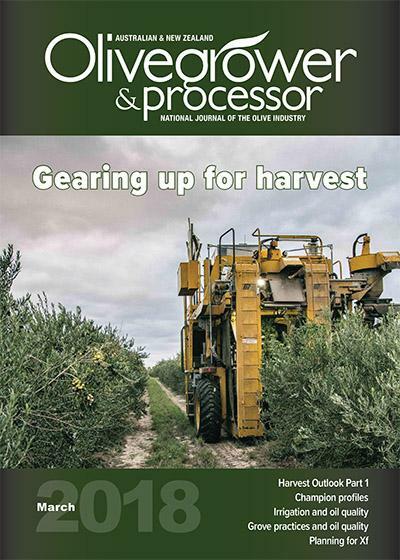 We’ll publish the summary report on Tastebook™ Round 3 in Friday Olive Extracts during May, and follow up with the final report in the June edition of Olivegrower & Processor (OGP). The warm, glossy brioche on the side-plate is made with local olive oil and red wheat flour grown and milled 15km away. Brioche – traditionally butter-laden – made with local olive oil … chefs really are starting to get it! Updated details of all current chemical permits can be found at the APVMA website here. Harvest is usually the season when extra activity on your property can create additional biosecurity risks for your farm. According to Rod Turner, General Manager, Preparedness and R&D at Plant Health Australia, every movement onto your farm risks bringing in hitchhiking pests and weeds. Read more here. The International Olive Council’s March 2018 Market Newsletter reports that Australian imports of olive oil and olive pomace oil during the period October 2017–January 2018 ) decreased by 29%. The report also shows a decrease of 13% in Australian imports of table olives in the period September 2017–January 2018. You can download the report here. Through the Tasmanian Government and Aurora Energy, Tasmanian businesses can apply for a Westpac credit card with 0% p.a. purchase interest for 36 months only on eligible energy-efficient products valued from $500-$10K. More information here. Up to $2500 rebate (up to half of total cost) offered for Queensland farming families to undertake farm succession planning. Deadline for applications is 30 June 2019. More information here. SA: Are your casuals really casual? Questions on casual employment arrangements are one of the hottest topics on the Business SA Business Advice Hotline, and casual work is an especially grey area of compliance for employers. To provide clarification, Business SA is running a seminar for employers who have casual employees or plan to hire casual employees in the future. Topics include: compliance through record keeping and contracts; understanding pay requirements, overtime and penalties; conversion-to-permanent employment provisions in modern awards and a general update on workplace legislation. Details: Friday, 11 May 2018 from 8:30-10:30am (8am registration) at the Royal Adelaide Showgrounds, Wayville. 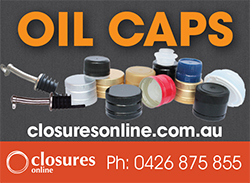 Cost is free to Business SA members and $20 for non-members. Register here. 2018 applications for Industry Leaders Fund grants are now open. Up to $50,000 is available for industry leaders to develop their professional potential. Applications close on 31 May 2018. Find out more and apply here. The Fleurieu Olive Harvest Open Day is on again this year, being held on Sunday, April 22 at Nangkita Olives, Tooperang. Part of the Tasting Australia calendar, the popular event this year has some great new attractions, including a commercial-scale olive press, a smoker, a tank-bar, horse riding and music. There’ll also be the usual features like EVOO tasting and cooking classes, table olive pickling classes, local produce stalls, hay rides – and, of course, the famous wood-oven pizza and spit roast lunch. Tickets are $45 adults, $20 children and you can book here. In conjunction with the Harvest Open Day, Olive SA is organising a bus tour to the Fleurieu region on April 22. Leaving from Adelaide, the tour will take in the harvesting and processing of olives and visit a state-of-the-art EVOO bottling plant. The bus will then travel to Nangkita Olives for the open day event, with food and drinks included in the tour cost of $90pp. Seats are limited, so reserve your place now by registering your interest with Steve Pantelos at 0414 315 137 or steve@oliveco.com.au. Three Chinese cooking oil producers have been accused by state TV of making misleading claims about the amount of more expensive olive oil in their products. The report aired on CCTV on Sunday said the three firms in Fujian province sell blended oil, but have misled customers about the percentage of olive oil in the products. By now, you’ve probably busted the myth that fats are bad for you. Because it is just that — a myth. Some of our favorite science-backed healthy fats include coconut and avocado oils. But do you know what else is an excellent choice of fat? Extra virgin olive oil. Good user-friendly consumer info – especially “Versatile extra virgin olive oil is perfect for cooking, frying, sauteeing, dressing, baking and poaching”. Is the much ado about olive oil for nothing? Apparently not. This beauty oil deserves all the glory it basks in. Its inherent composition gives it a charmed positioning in every health fanatic’s kitchen and beauty cabinets. The European Commission has launched a new information-sharing system to tackle the issue of food fraud and quality in the European Union. Called a “knowledge centre” and operated by the European Commission’s Joint Research Centre, this is the newest of five such centers that bring together internal and external experts to tackle a certain issue. Researchers at Southern Illinois University have helped unlock the healthy goodness of olive oil, literally placing its coveted oleic acid available into the agriculture industry’s hands. Thanks to the gene sequencing skills of Oussama Badad, 29, he’s contributed the map leading to the genetic map coordinates for oleic oil and all of the other nutrient components of olive oil. A project initiated by Turkish experts to turn olive mill wastewater from olive production into industrial raw materials and products such as biodiesel and animal feed has received the support of a European Union program.